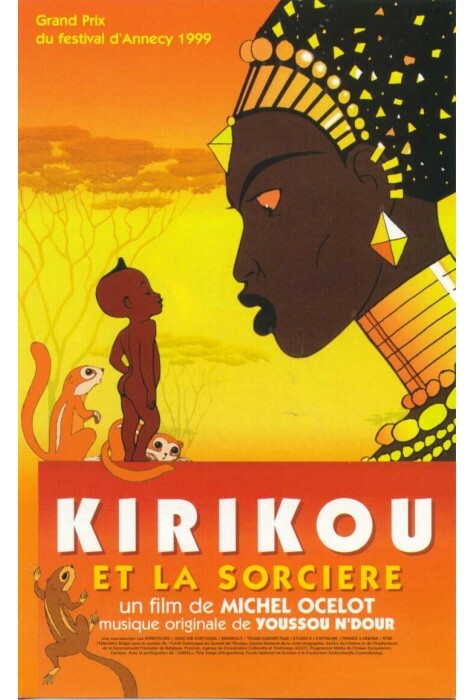 The tiny Kirikou is born into an African village upon which a sorceress called Karaba has cast a terrible spell: the spring is dried up, the villagers are being ransomed, and the men of the village have been eaten up by the sorceress. Karaba is a stunning and cruel woman, surrounded by fearless and servile fetishes. But no sooner has Kirikou delivered himself from his mother’s womb, than he wants to rid the village of Karab’s curse and understand the cause of her wickedness. 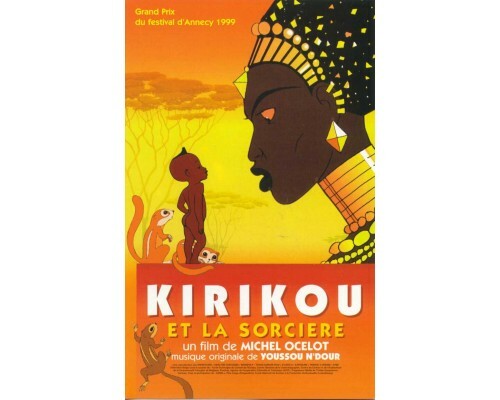 His adventure-filled voyages leads Kirikou to the Forbidden Mountain where the Wise Man of the Mountain, who knows of karaba and her secrets, awaits him. 1998, 75 minutes, MPAA: NR (would be PG-13 if rated), video in French with English subtitles, DVD with either French or English sound track, and optional English subtitles. 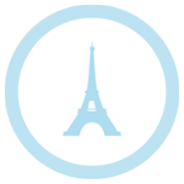 The French is simple and very comprehensible.